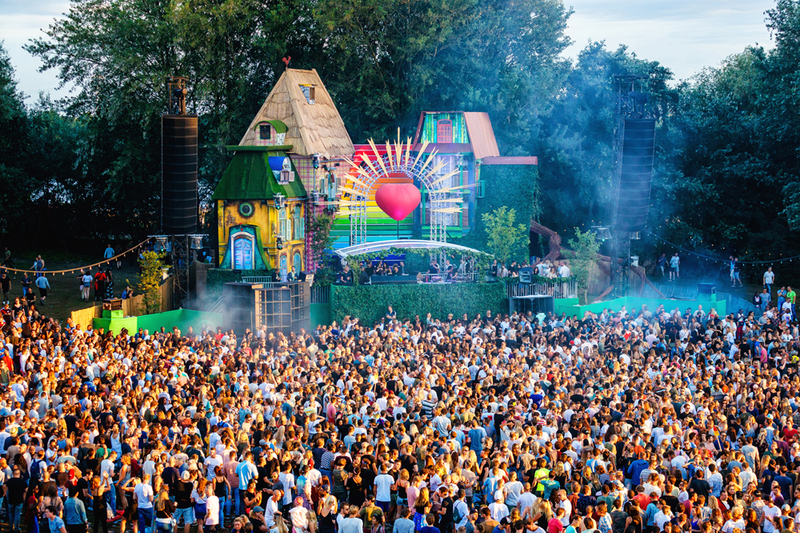 With the return of the Welcome to the Future festival on 22 July, the scenic parklands of Wet Twiske, just north of Amsterdam, once again became a green heart pumping to the beat of visionary house and techno. The annual festival, now in its 11th year, prides itself on providing an intimate atmosphere filled with colourful decorations and the highest quality sounds, so it was no surprise that organisers opted for a Vero sound system from Think! AV on the main stage. For event director, Carina Kornfeind, the success of the system’s debut at last year’s festival made it first choice for this 2017 outing. “For the second year in a row, we introduced Funktion-One’s vertical array sound system, Vero, at Welcome to the Future, bringing us a new dimension of frequencies and depth and making the experience on the dancefloor more immersive than ever before,” she commented. Although developed as a large format sound system for live touring, Vero has proved equally at home on the festival circuit, providing the logistical convenience of a line array while delivering the highest possible sonic quality. Officially launched in 2016 after five years of intensive beta testing, the system includes a series of highly efficient, low distortion horn-loaded loudspeakers, all with the same dimensions, enabling them to be flown in the same vertical array. Furthermore, with Vero’s Lambda flying system, rigging can be carried out quickly and safely with just a handful of crew. For each side of the main stage at Welcome to the Future, an array of four V60 mid-highs, four V90 mid-highs and five V315 mid-bass were flown on each side. The narrower dispersion V60 long throw enclosure at the top of the array and the wider dispersion V90 for the medium to nearfield allowed for the precise tailoring of power and directivity to the 12,000-plus audience whilst preserving sonic detail. The natural geometry of the waveguides in each enclosure and their relationship with each other within the array results in a coherent addition of sound – an innovative technique dubbed Geometric Energy Summation by Vero’s creators. The arrays were complemented by 15 V221 high-intensity bass enclosures to provide fast, accurate, dynamic bass – its 21in Neodymium drivers capable of frequencies down to 40Hz. Four Funktion-One F132A 32in bass enclosures were used for the sub-bass frequencies. The main stage system was powered by 10 Lab.gruppen PLM 20K44 amplifiers built in to compact, shock-mounted Vero amp racks. 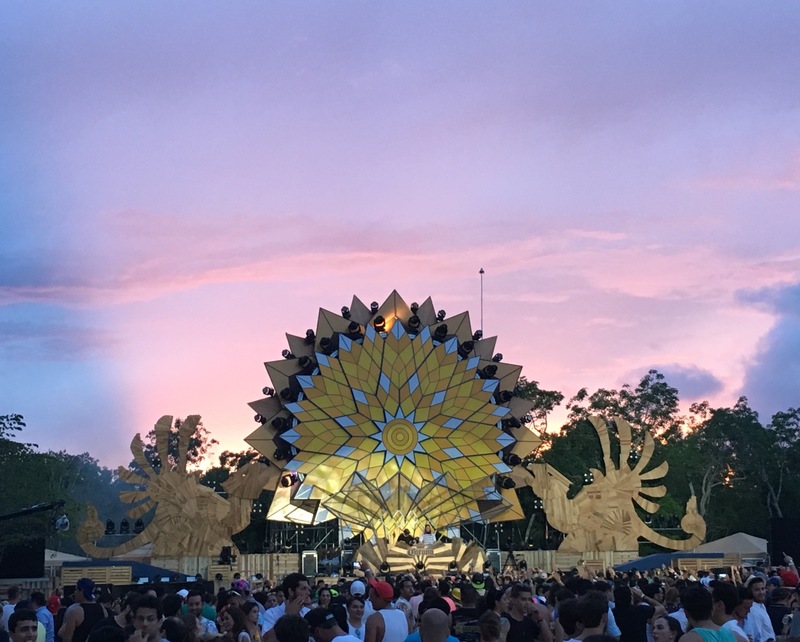 While Vero wowed audiences on the main stage, the festival’s seven smaller stages were treated with similar respect, each one featuring a Funktion-One system from Think! AV. With a capacity of around 7,500, the Techno tent provided the second largest performance space onsite. Here Funktion-One’s Evolution series was put in to action. Six Evo 7T, six Evo 7TH mid-highs and six Evo 7TL-215 mid-bass enclosures were flown as the main PA alongside 16 Vero V221 bass cabinets. Infill was provided by two Evo 6EH. Another eight Evo 7T enclosures were used as a 25m delay, with four Evo 7SH and an F215 Mk2 provided delay at the 50m mark. Four Vero amp racks, each loaded with three Lab.gruppen PLM20K44s, powered the system. Funktion-One’s Resolution Series was used on the remaining six stages, including: the 17x19m Circus tent; 3,000-capacity House tent; 20x30m Basement hangar; 600-capacity Forest open air stage; and the 26x44m Amsterdam tent. Amplification across the smaller stages was mainly from FFA-6004 and FFA-10000 (with NST Audio D-48 DSP), as well as some MC2 E60s and E45s.